The Darling Fault in Western Australia. WESTERN Australia - home of the quokka, beach camels and most of the country's outback. And it's also home to one of the biggest fault lines in the world. 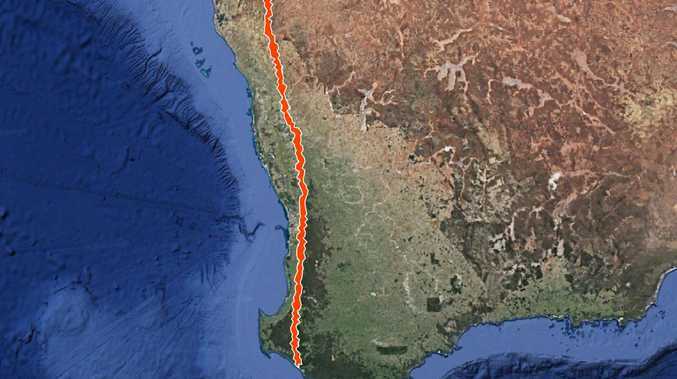 While a significant earthquake is yet to occur specifically on the Darling Fault, the lengthy crack sits just to the east of the South West Seismic Zone - the region with most of Australia's earthquake activity. "Seismic activity waxes and wanes over time but it's becoming more obvious as the population grows. More people are feeling them and reporting tremors," Mr Glanville said. "We also have more sensitive instrumentation so it's not necessarily more earthquakes but more people being exposed to them and more instruments there to pick them up." The quake, which occurred at a depth of 10km, struck at around 10.30pm Sunday with even Perth residents - more than 1000km away from the epicentre - reporting tremors. "WA is substantially larger than all the other states so it has a large amount of activity. We've seen in the southwest seismic zone that there's been a lot of earthquake epicentres and swarms in that region," he said. 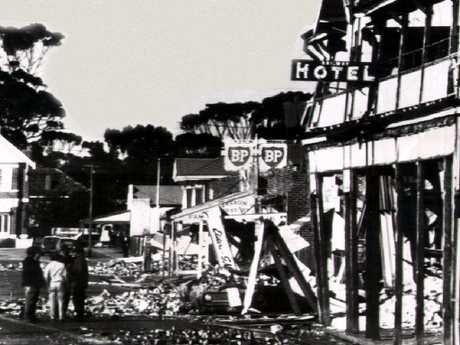 It's been 50 years since Western Australia was hit with one of its biggest earthquakes in history when a magnitude 6.5 quake ripped through the town of Meckering, 130km east of Perth. It was on October 14, 1968 that the massive earthquake shook the southern half of Western Australia, razing the town's buildings, sending horses bolting and rattling the inside of homes more than 700km away. Meckering was reduced to rubble after the 1968 quake. Even the devastating Meckering quake didn't top the Meeberrie quake in 1941 which hit 7.2 on the Richter scale. Mr Glanville said while the Darling Fault was not located in the state's most common earthquake region, there was still potential for a quake there. "The Darling Fault near Perth is quite a large fault so it could host a very large earthquake," he said. "Swallowing Perth would be a bit of artistic licence, but a quake there could cause significant damage - similar to the Meckering earthquake that flattened half the town. 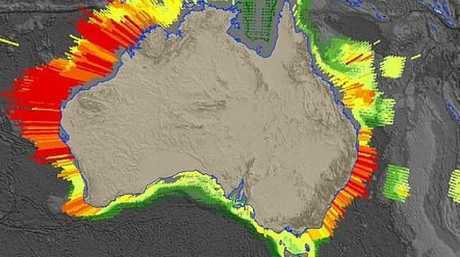 "But Australia has had very few earthquakes of that size recorded in modern history. They're quite rare occurrences. It would more likely be a small to medium earthquake that would shake buildings, so it's not impossible but I would say unlikely." 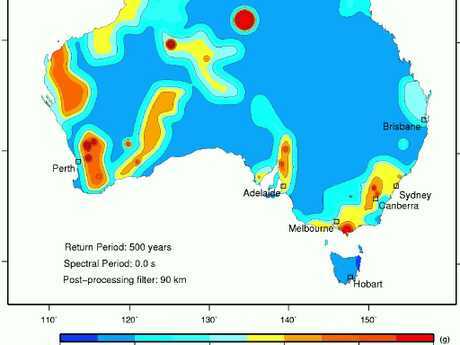 In 2009, UWA geophysics professor Michael Dentith told PerthNow scientists were still trying to figure out why there hadn't been a significant quake on the Darling Fault. But earthquakes don't just come with a risk of damage to people and property - there's also the flow-on risk of tsunamis. The northwest coast of Western Australia is particularly at risk, according to the research, because of proximity to Indonesia's active and turbulent earthquake zone - making it far more likely to be struck than the rest of the country.